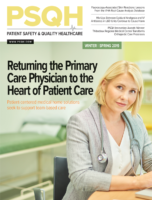 This member-only article appears in the October issue of Patient Safety Monitor Journal. You can expect renewed interest in your water management program. This summer, CMS sent out a new memo updating its expectations on Legionella infections. The memo, QSO 17-30-Hospitals/CAHs/NHs, was published July 6. It supersedes the former S&C 17-30-Hospitals/CAHs/NHs, issued in June 2017, and adds more specific expectations for long-term care (LTC) facilities. The update also helps clarify expectations for hospitals and nursing homes. The Legionella bacterium is responsible for legionellosis: a respiratory disease that can cause a type of pneumonia called Legionnaires’ disease, which kills about a quarter of the people who contract it. Legionellosis is especially dangerous for patients who are older than 50, who smoke, or who have chronic lung or immunosuppression conditions. The bacterium breeds naturally in warm water and can usually be found in the parts of hospital systems that are continually wet. Poorly maintained water systems have been linked to the 286% increase in legionellosis between 2000 and 2014. The CDC says there were 5,000 reported cases of it in 2014 alone, with about 19% of outbreaks in long-term care facilities and 15% in hospitals. While there are no new expectations for hospitals or critical access hospitals in the revised CMS memo, it does add a specific statement that “facilities must have water management plans” as well as a new note that testing for waterborne pathogens is left “to the discretion of the provider,” according to the letter to CMS’ Quality, Safety and Oversight (QSO) group, formerly the Survey & Certification (S&C) group. “The terms ‘plans’ and ‘policies’ are sometimes confusing to hospitals,” warns Kurt Patton, the former director of accreditation services for The Joint Commission and founder of Patton Healthcare Consulting, now in Naperville, Illinois. “The memo is fairly prescriptive” in what it expects of facilities, notes Jennifer Cowel, president of Patton Healthcare Consulting and a former Joint Commission director of service operations, adding that hospitals should include the specific items set out in the memo in the water management section of their utilities plan. The reference to the ASHRAE standard and the use of specific control measures is no longer in the section outline expectations for healthcare facilities, but is moved to the memo’s background section along with the mention of the CDC’s toolkit on implementing the 2015 standard. There is a new expectation added in the revision that facilities will “maintain compliance with other applicable Federal, State and local requirements,” which is also a generic expectation of The Joint Commission and other accrediting organizations (AO). The only entirely new section is devoted to expectations of surveyors and AOs when surveying LTC: “LTC surveyors will expect that a water management plan (which includes a facility risk assessment and testing protocols) is available for review but will not cite the facility based on the specific risk assessment or testing protocols in use. Further LTC surveyor guidance and process will be communicated in an upcoming survey process computer software update. Until that occurs, please use this paragraph as guiding instructions,” the CMS memo now states.